National passenger rail network in Canada. Full schedule and fares, with online booking. Friday to Monday only! Black Friday Sale! Get 40% Off Youth Summer Pass 2019. Offer does not apply to previous purchases. No promo code is required. Youth from 12 to 25 years old must own a valid student ID or those aged 26 years old or older must own an ISIC card. Terms and Conditions apply. See merchant site for details. Travel between 05/01/2019 to 08/31/2019. Book by 11/26/2018. Friday to Monday only! Black Friday Sale! Get 40% off Economy Class Bizpaks. All Business Class Bizpaks are excluded. Offer does not apply to previous purchases. No promo code is required. Terms and Conditions apply. See merchant site for details. Book by 11/26/2018. Save 50% or more on select departures with Express Deals. Hurry, fares are limited. No promo code required. Friday to Monday only! Black Friday Sale! Get 40% Off fares in Sleeper Plus class. Standard minimum fare applies. Offer is not applicable on the Eastern Long Haul service (the Ocean), from 12/14/2018 to 01/06/2019. Offer does not apply to group travel or tickets issued by tour operators, Not apply to Prestige Sleeper class. Terms and Conditions apply. See merchant site for details. Travel between 12/01/2018 to 04/30/2019. Book by 11/26/2018. Get up to 50% off Economy fare for 6 one-way trips (3 round trips) between two pre-determined stations. 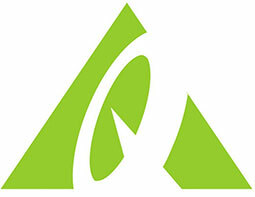 VIA 6 Pack for youth 12 to 25 years age for travel to Quebec City, Moncton and Halifax. Conditions apply, visit merchant’s site for more details. Boxing Week Sale! Get 25% Off Various Fares. Book by 12/26/2018 to 12/31/2018. Get Free tickets for the group leader for each block of 20 economy class tickets. Maximum four free tickets per group. Friday to Monday only! Black Friday Sale! Get 10% Off the lowest fares across Canada. Standard minimum fare applies. Offer does not apply to group travel or tickets issued by tour operators. Terms and Conditions apply. See merchant site for details. Travel between 12/01/2018 to 04/30/2019. Book by 11/26/2018. Friday to Monday only! Black Friday Sale! Get 10% Off Business Classes. Standard minimum fare applies. Offer does not apply to group travel or tickets issued by tour operators. Terms and Conditions apply. See merchant site for details. Travel between 12/01/2018 to 04/30/2019. Book by 11/26/2018. Get 15% off best available fare in Economy class (Escape, Economy and Economy Plus fares) and in Business class (Business and Business Plus fares) when you travel to cheer your favorite team on the road. Round trip required. 5 days advance purchase required before departure date. Travel must take place within 2 days before and 2 days after each game day, between 07/04/2018 and 11/20/2018. Bookings must be made between 06/01/2018 and 11/20/2018. Get 12.5% off the best rates for you & three companions when you become a Hostelling International member + 10% off every time you stay at an HI hostel. Special offer for CAA Members! Get 10% off the best available fare to travel anywhere in Canada. 5 day advance purchase required for Escape fare only . To obtain the discount, the following fare plans must be selected: Escape, Economy, Economy Plus, Business, Business Plus. Travel and Book between 01/01/2018 to 04/30/2019. Get tickets for children aged 2-11 for $15. 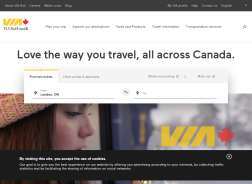 Valid for travel on the VIA Rail network across Canada. To obtain the discount, one of the following fare plans must be selected: Escape, Economy or Economy Plus. New bookings only. Up to 5 children can travel for $15 each per adult travelling on the same dates, on the same trains and between the same stations. Travel between 06/18/2018 to 08/31/2018. Book between 05/09/2018 to 08/31/2018. Check out the lowest fares from your city. See site for details.